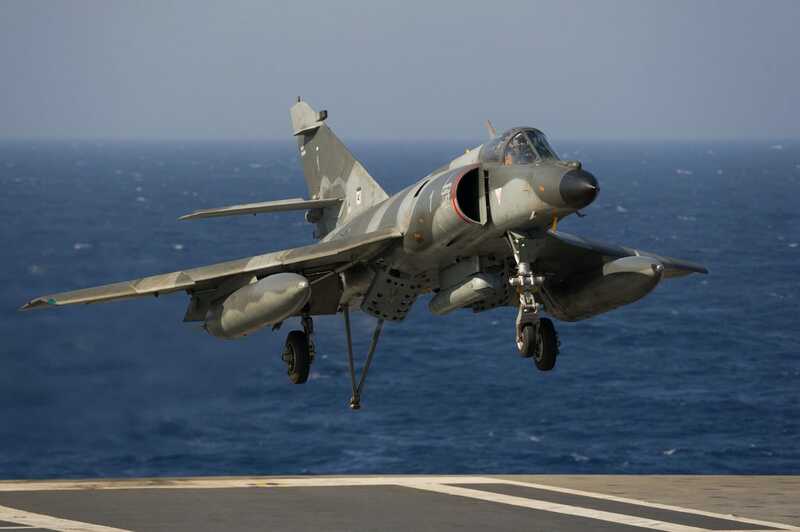 The Super-Étendard was France’s first combat aircraft featuring modern weapon outfits. For Dassault, after the Mirage Milan experience it is also a foothold in new serially-produced weapon systems. On January 19, 1973, the then Minister of State in charge of national defense Michel Debré chose the Super-Étendard as the French Navy’s multipurpose weapon aircraft that would ultimately replace the Étendard IV, Crusader and Alizé. 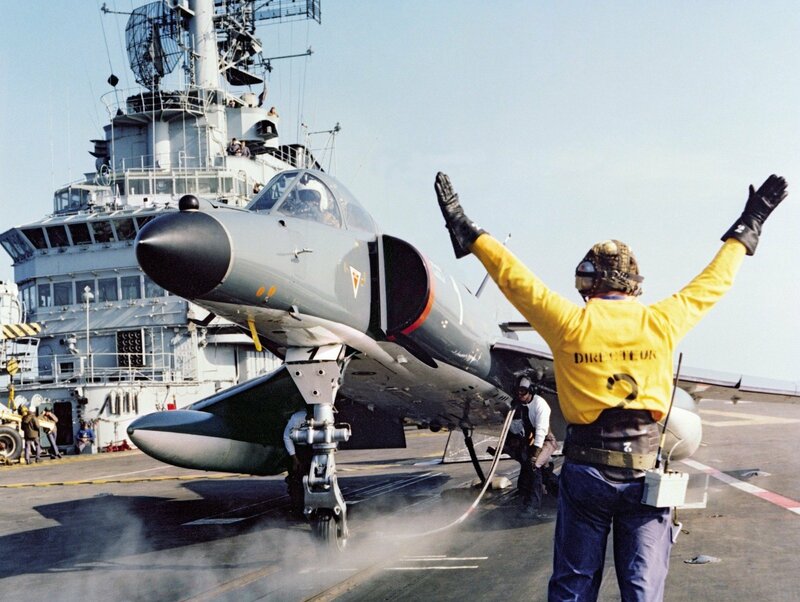 It awarded the contract for 100 Super-Étendard aircraft on September 4, 1973. That was the first fixed-price contract Dassault was awarded for an airplane. Jacques Jesberger flew the Super-Étendard 01 (Étendard 68) for its maiden flight out of Istres, on October 28, 1974. That aircraft was used to develop the engine and aerodynamic tests. The first serially-produced aircraft, powered by a Snecma Atar 8 K 50 engine, flew on 24 November 1977, out of Mérignac, with Jacques Jesberger at the helm. It was France’s first military operation plane fitted with an inertial navi/attack system. In July 1979, Argentina placed an order for 14 Super-Étendards. In April 1982, it occupied the Falkland islands, unleashing a fierce conflict with the United Kingdom. After that war, the embargo on Argentina was lifted and the nine thereunto-undelivered aircraft and spare parts needed to fly them were delivered. In 1983, 5 of these aircraft were leased to Iraq.